We had our 4th Anniversary & Holiday Party last Saturday night (November 30, 2013) and were thrilled so many of our wonderful clients and friends could join us. 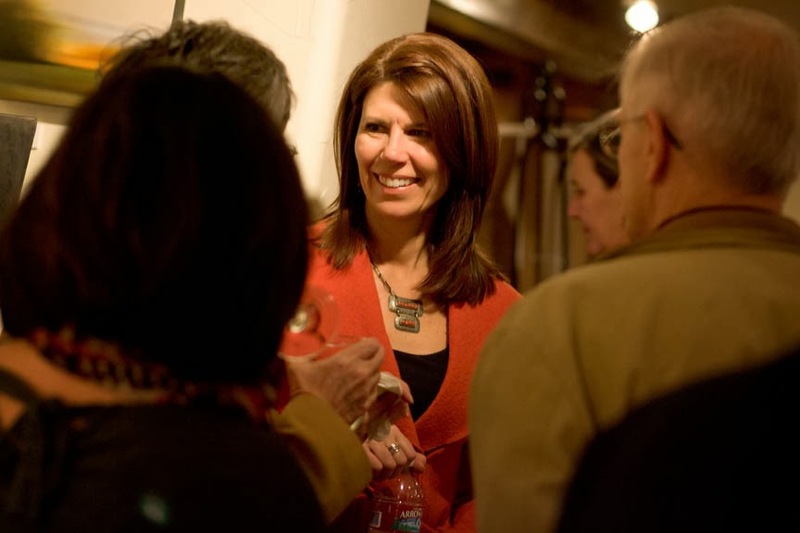 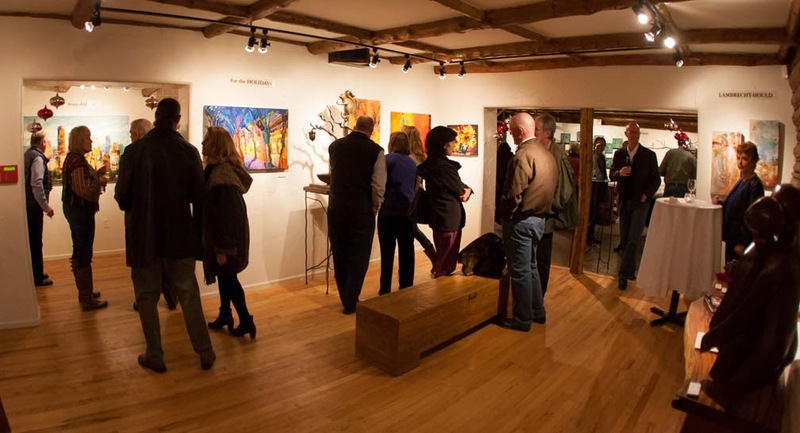 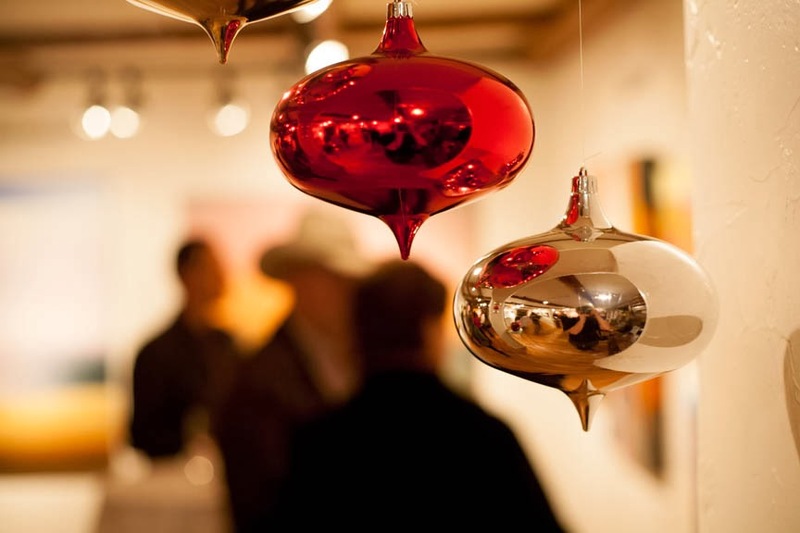 If you couldn't make it, come on by the gallery - it looks fantastic for the holiday season. 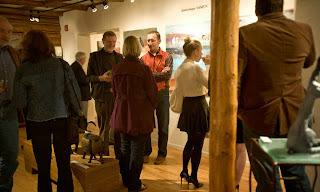 Here are some photots from the evening. 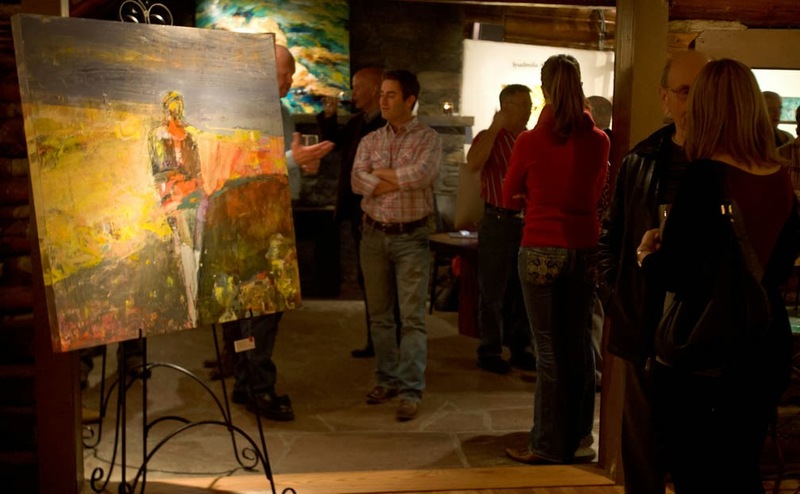 Mirada Fine Art's 4th Anniversary/Holiday Party on November 30, 2013. 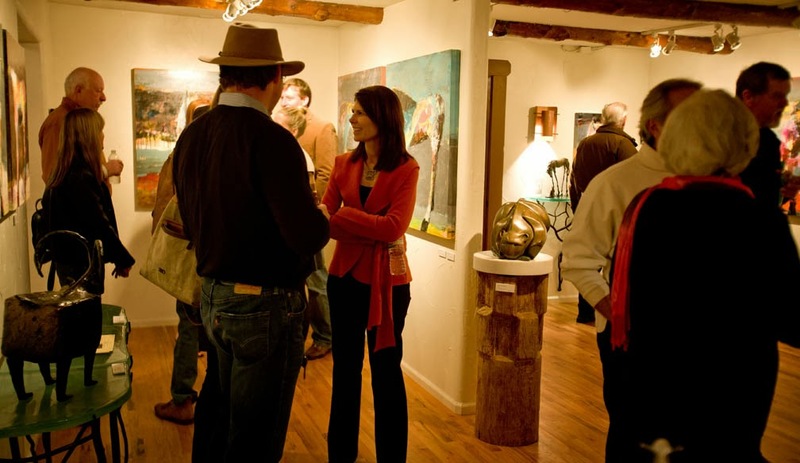 Mirada Fine Art's 4th Anniversary/Holiday Party on November 30, 2013. 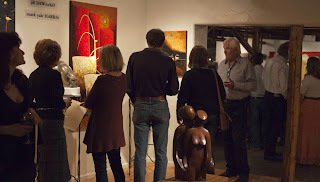 Mark Yale Harris' 'Butterflies are Free' in the foreground. 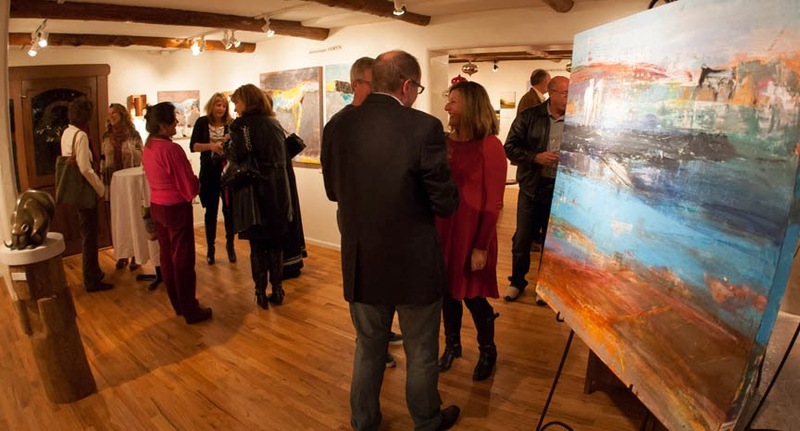 Mirada Fine Art's 4th Anniversary/Holiday Party on November 30, 2013. 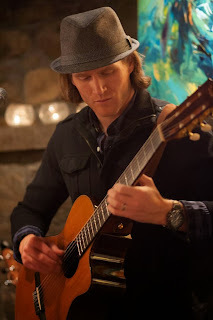 Branden Sipes provided the music! Mirada Fine Art's 4th Anniversary/Holiday Party on November 30, 2013. 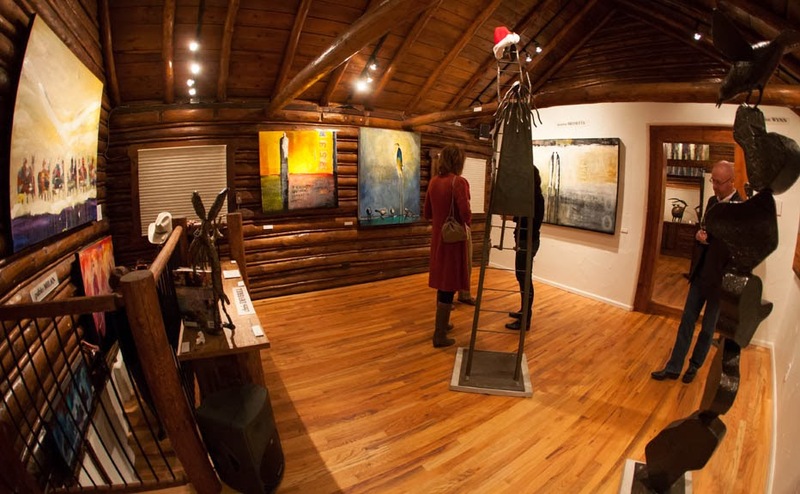 The gallery is all decked out for the holidays. 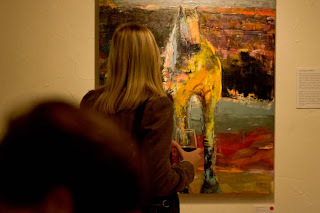 Mirada Fine Art's 4th Anniversary/Holiday Party on November 30, 2013. 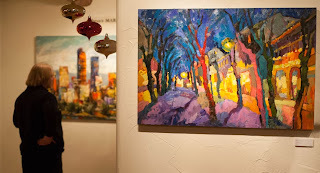 Larisa Aukon's 'Celebrate' in the foreground. Mirada Fine Art's 4th Anniversary/Holiday Party on November 30, 2013. Michael McLaughlin's 'Partridge & Pear Tree' in the foreground. 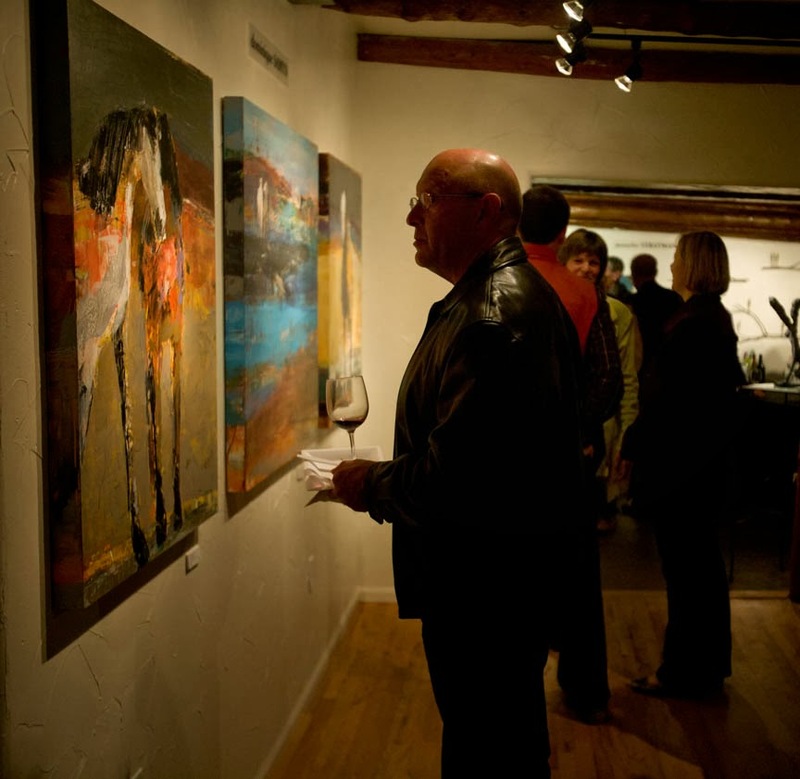 Mirada Fine Art's 4th Anniversary/Holiday Party on November 30, 2013. A patron admires the work of Don Scott Macdonald. The gallery is all set up for Mirada Fine Art's 4th Anniversary/Holiday Party on November 30, 2013. Mirada Fine Art's 4th Anniversary/Holiday Party on November 30, 2013. 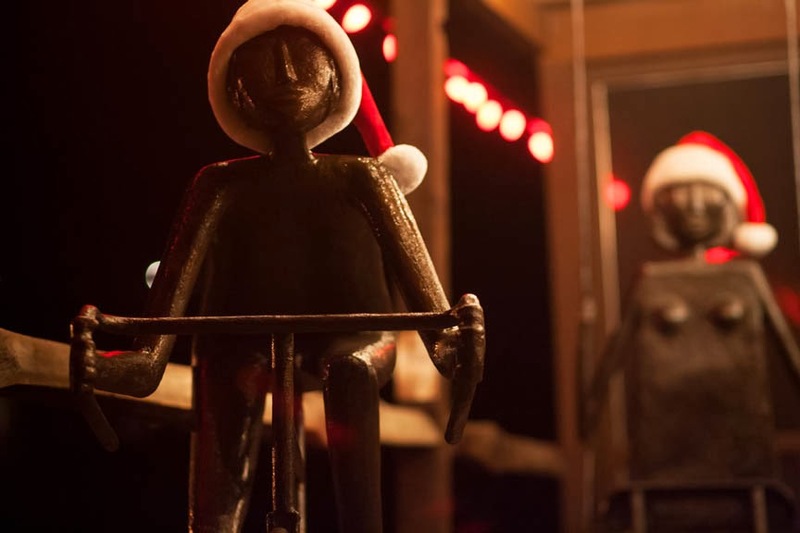 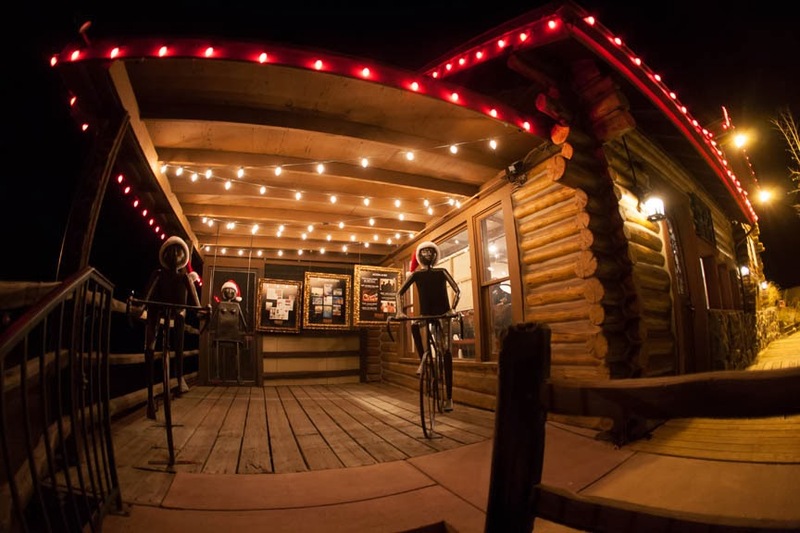 Allen Wynn's sculptures grace the front deck. 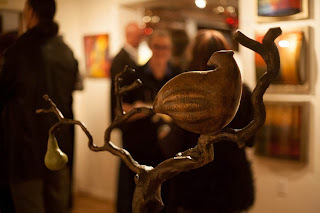 Mirada Fine Art's 4th Anniversary/Holiday Party on November 30, 2013. 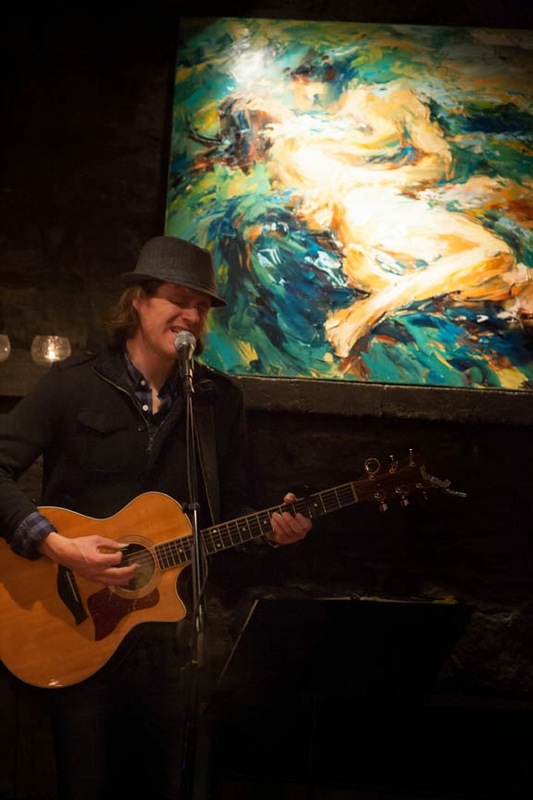 Branden Sipes was wonderful all night on guitar (with Lyudmila Agrich's 'The Kiss' behind him). 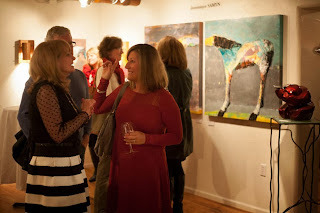 Mirada Fine Art's 4th Anniversary/Holiday Party on November 30, 2013. 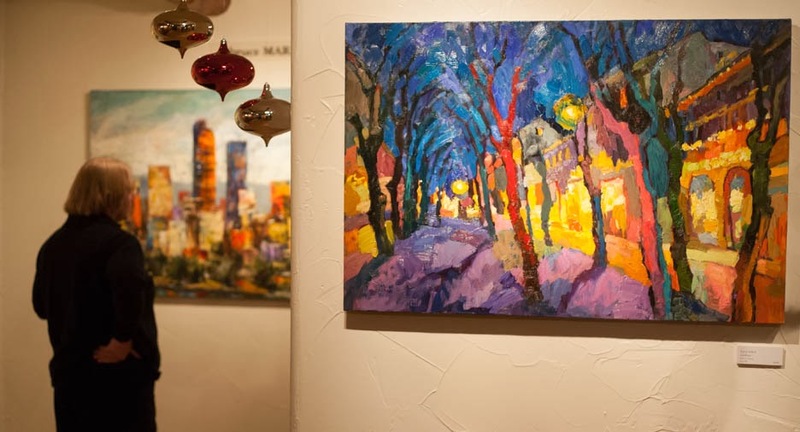 Bruce Marion's brand new painting 'Mile High Magic' in the background. 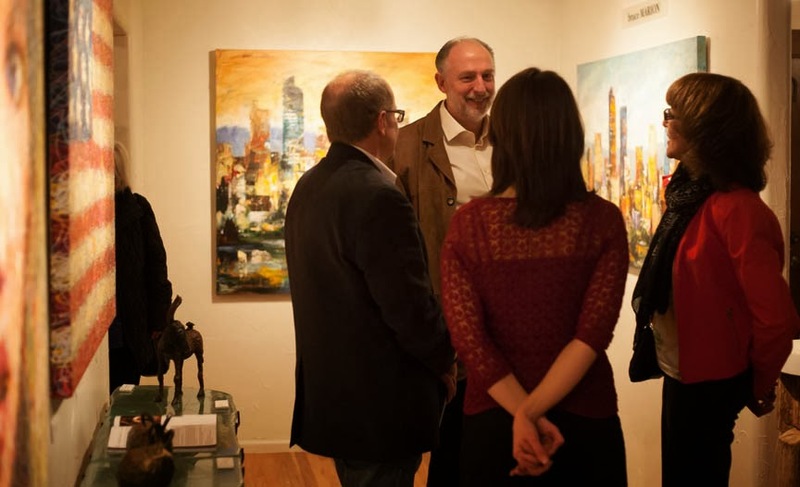 Mirada Fine Art's 4th Anniversary/Holiday Party on November 30, 2013. The work of Andrew Baird in the background. 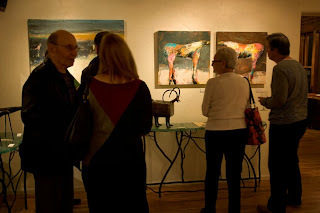 Dominique Samyn unveiled her remarkable new exhibition 'CHAOS before order' last Friday night, November 8th at Mirada Fine Art, and it was an amazing evening. 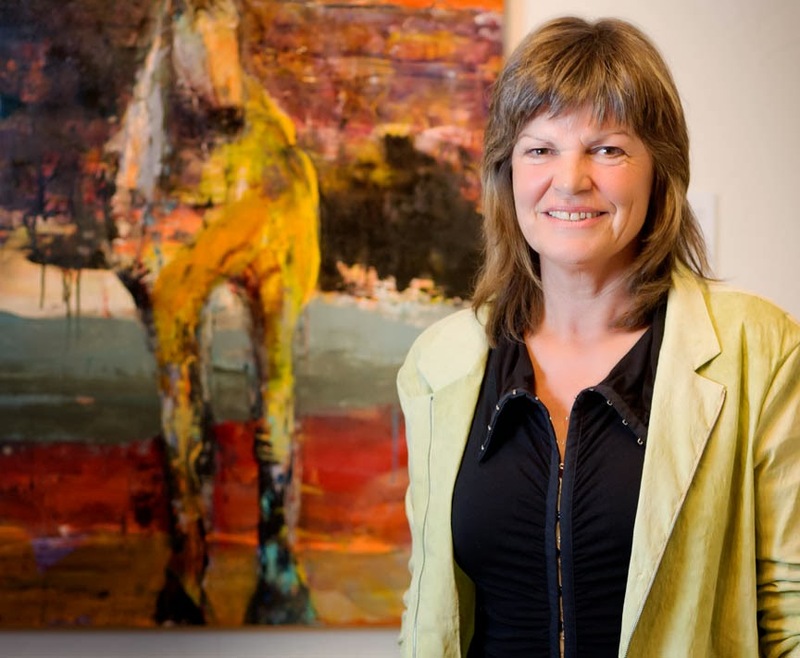 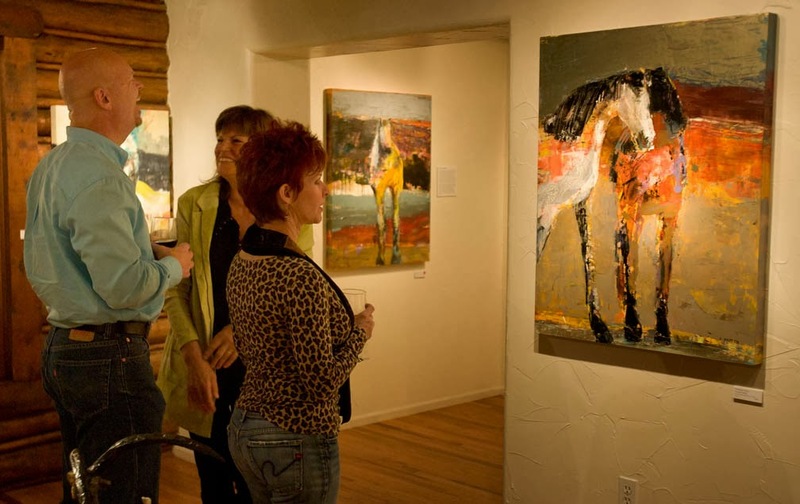 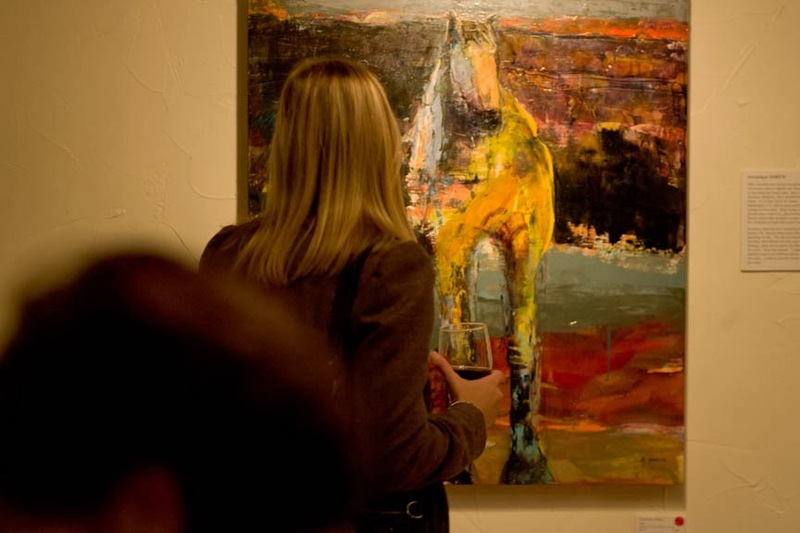 Although Dominique's work frequently ranges from abstract to figurative, the primary focus of this exhibition is horses! If you weren't able to attend, come by while the exhibition is still hanging...you won't regret it. In the meantime, here are some photos from that night! 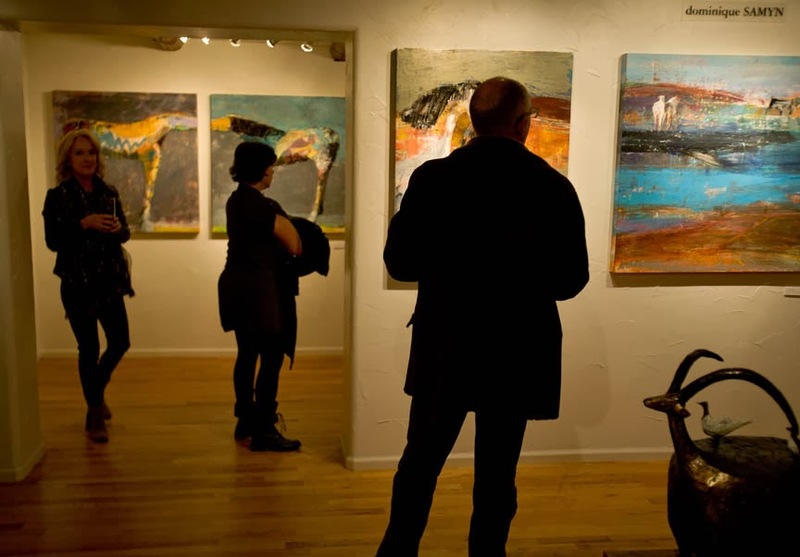 Dominique Samyn's 'CHAOS before order' exhibition at Mirada Fine Art. 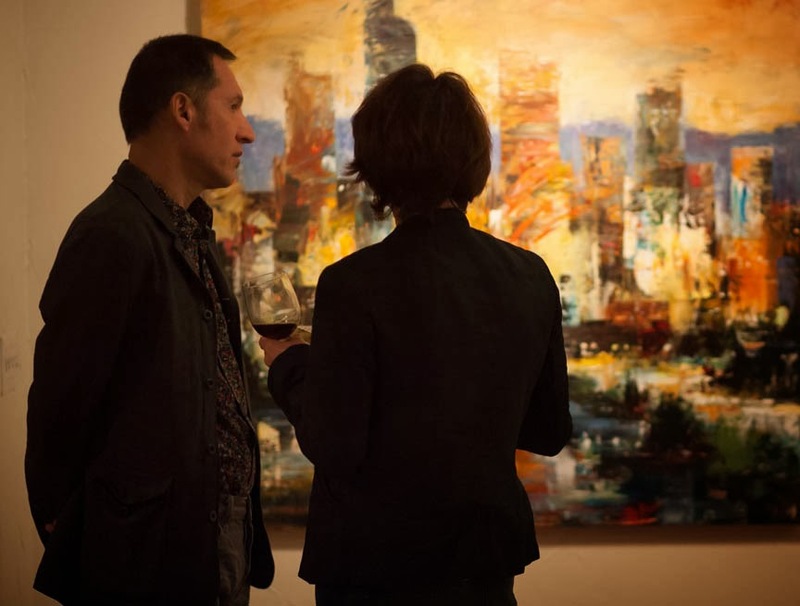 Opening night of Dominique Samyn's 'CHAOS before order' exihbition at Mirada Fine Art. Taking a close look at Dominique Samyn's beautiful painting 'Sage.' This was one of the first pieces to sell on opening night...but fortunately there are many beautiful pieces remaining! 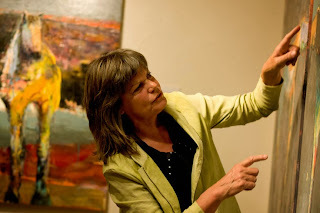 Dominique Samyn explains her technique at Mirada Fine Art. 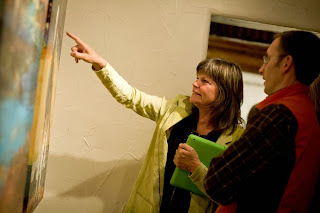 Dominique Samyn discusses her work with some patrons of Mirada Fine Art. 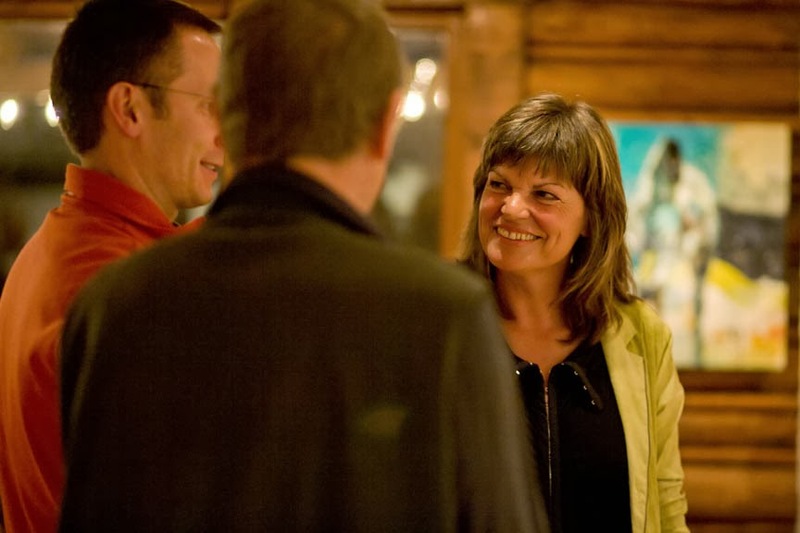 Co-owner of Mirada Fine Art, Jenni Sonnen, enjoys the opening of Dominique Samyn's 'CHAOS before order' exhibition. 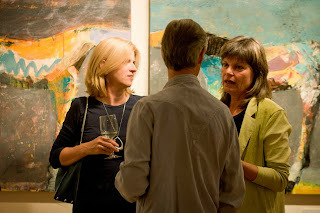 Opening night of Dominique Samyn's 'CHAOS before order' exhibition at Mirada Fine Art. 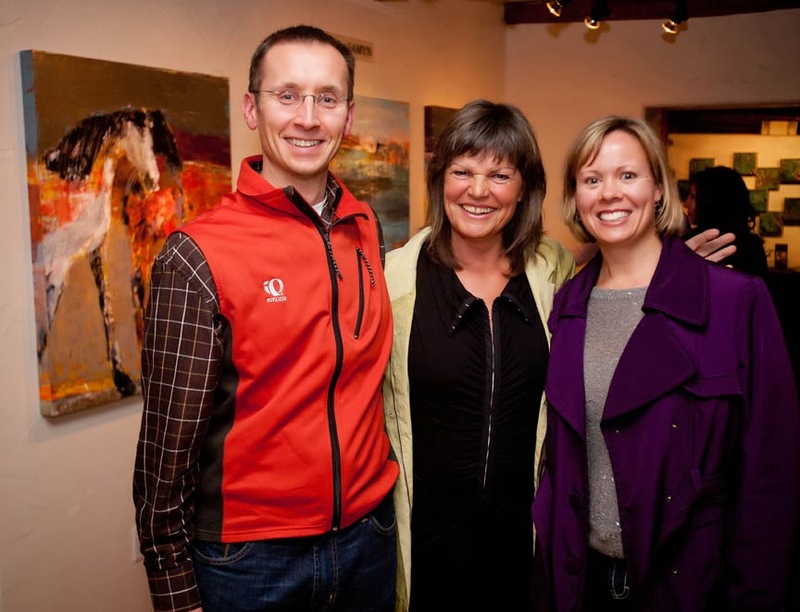 The proud owners of one of Dominique's beautiful paintings enjoy a moment with Dom. Dominique Samyn's beautiful piece 'Chamisa Bloom' was one of the paintings snagged by a lucky client on opening night. 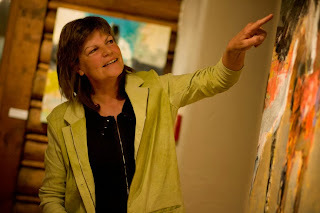 Dominique Samyn at Mirada Fine Art discussing her technique. 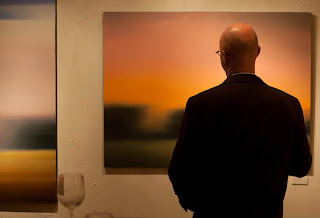 Dominique Samyn at Mirada Fine Art. 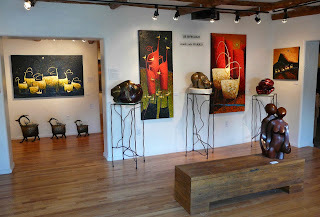 Jill Shwaiko and Mark Yale Harris team up for the exhibtion, 'heart, wax & stone at Mirada Fine Art. Jill Shwaiko and Mark Yale Harris unveiled their newest sculptures and paintings on Friday night, September 20th for the opening reception of 'heart, wax & stone' at Mirada Fine Art. 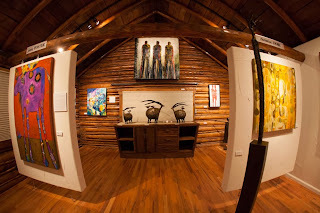 This remarkable exhibition will be on display through October 20, 2013. 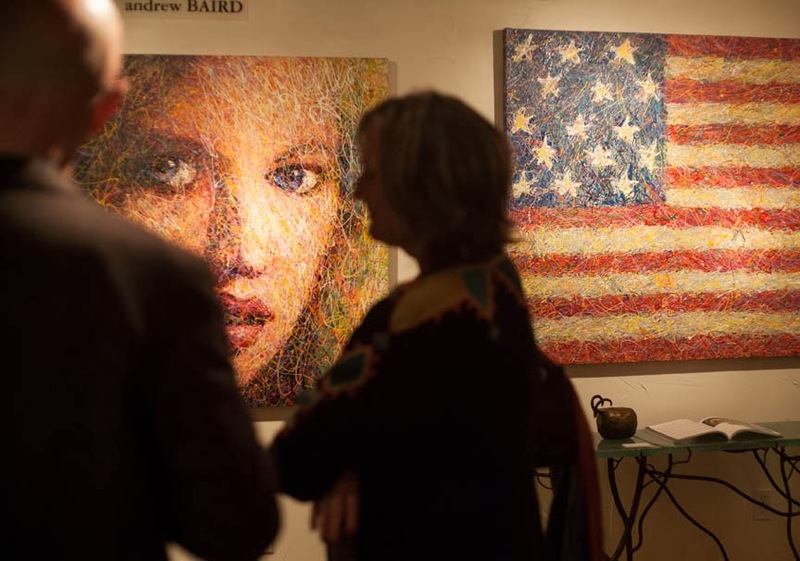 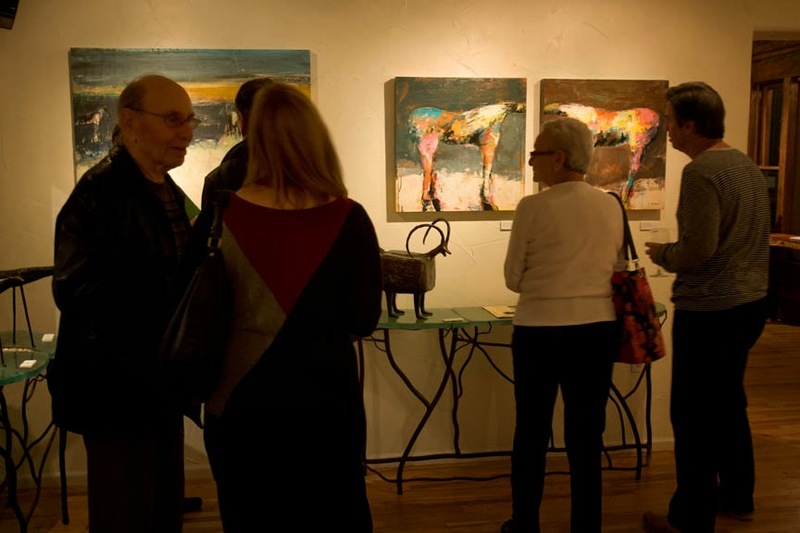 Mirada Fine Art was proud to bring two of contemporary art's most successful (and whimsical) sculptors on the national scene to the Denver area. Jill Shwaiko from Santa Fe, NM and internationally-acclaimed artist Mark Yale Harris of Carbondale, CO join forces to create an exhibition that will inevitably bring a smile to your face. 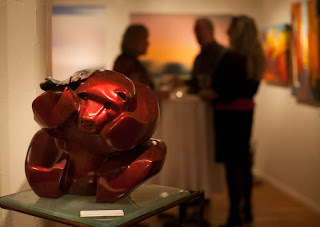 Although they create their remarkable sculptures using completely different techniques (Jill builds her initial sculpture through wax and Mark chips away on precious stone), they both end up with spectacular limited edition bronze sculptures that are sure to evoke an emotional response.